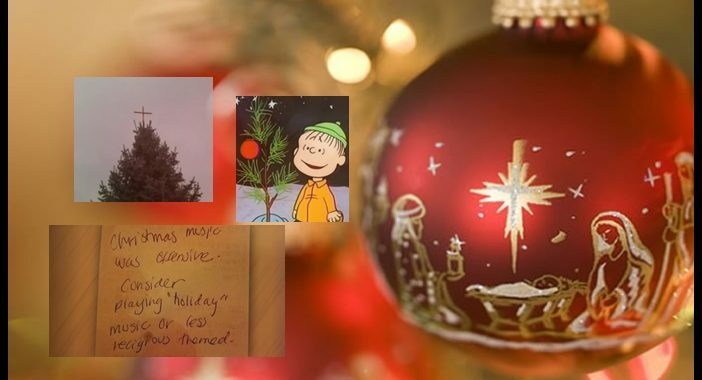 The heart of an 8 year old touched an entire community when his teacher at school had the children write letters to Santa. What did Lane Loftin want for Christmas? 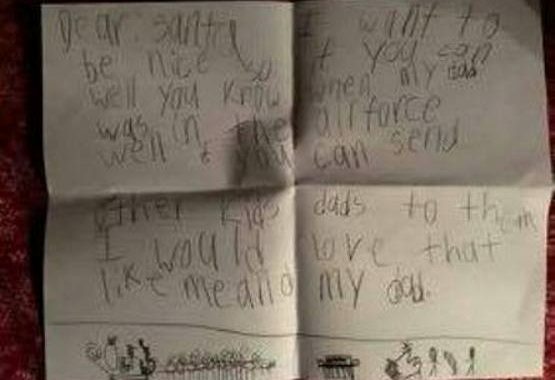 He asked Santa to bring Military Dads home to all the kids. His letter has been shared around in Collinsville, Oklahoma and is very popular, according to his Uncle Josh. 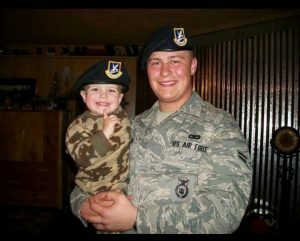 Lane’s Dad, Rob Loftin, was active duty in the USAF Security Forces from 2009-2015. He couldn’t always be home for Christmas. His son remembers that part vividly. With his Dad home now, he is grateful and wants to help others who might be missing their father at this time of year. Lane and his Dad are inseparable now that he is out of the Air Force. From “cop to full time cowboy,” Rob serves as a ranch hand in Oklahoma. The two go fishing, duck hunting, and deer hunting – precious memories built together that Lane will never forget for the rest of his life. 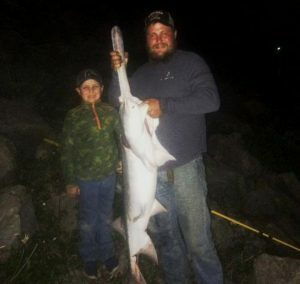 Lane and his Dad caught a big one! 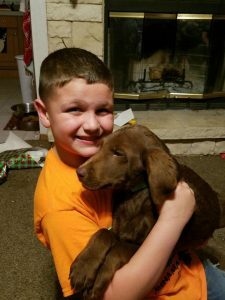 For Christmas this year, Santa brought Lane a brown lab puppy. Of course because Santa can’t really drive that sleigh and reindeer with a puppy to take care of, he had to bring it early to the Loftin home. This is one happy 8 year old. 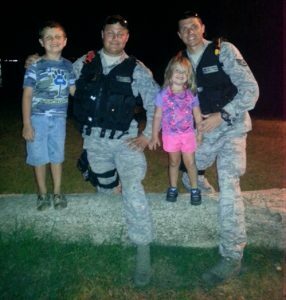 Lane’s Mom wants to remind people that being apart is extremely difficult for military, their spouses and children. 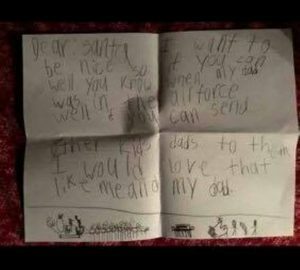 Lane’s letter to Santa is a vivid reminder that freedom isn’t free…it comes at a price. And sometimes part of that price is the heart of a child who loves his Dad and never wants him to go away again. Photos provided by Veronica Loftin. Dr. Larry Lindsey was a US Marine. He made a final video directed at President-elect Trump, VP-Elect Pence, and Gen Mattis. 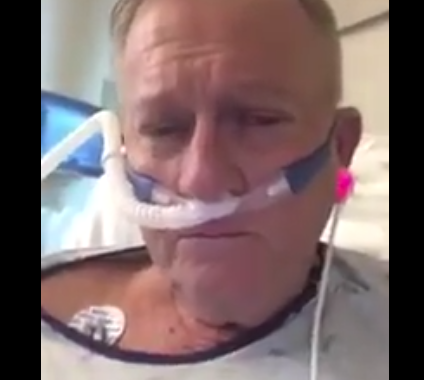 He passed into eternity not long after he made the video. It is profound. “President Trump, Vice President Pence, and General Mattis, I would like to say that the greatest honor of my life has been to wage this battle with you. I have been prouder of being a Marine than anything I have ever done in my life. Having a hand in some small way in fighting for my country has meant the world to me. There is no greater honor for me to have great men like you leading this country back its foundations…and back to God. A Mr. Trump, I have no doubt in my heart and in my mind that you will be perhaps the greatest President in the history of our country. Vice President Pence, I am so honored to call you my Vice President.You’re an incredibly good man and probably the only Vice President in 150 years to have any brains. And I appreciate that about you. The candor and honesty from both of you men is much needed in this day and time. General Mattis, Sir, it appears that I am now out of ammunition, but I continue to fight with my last breath. I do not fear death, because I know where I’m going, and I’m only going home for a rest. It’s you people here, the good people of America, for whom I cry. My loved ones and my friends and the sacrifice they make in this fight to restore our country. Dying is the easy part. Dying is the comforting part, if you know who your God is, and you know that He holds your hand. And I do. I’ve prayed for a wonderful life, so many blessings that I have known. And so many wonderfully kind and loving people in this country, whom I have met during my fight for this country. I want you to know, each and every one of you, that we have taken on a challenge that has only just begun. The real battle lies ahead. And General Mattis, I have one request, Sir, and that is…Give ’em hell. Semper Fi, God bless.” (Larry salutes). The school principal forced the woman to take down her poster. 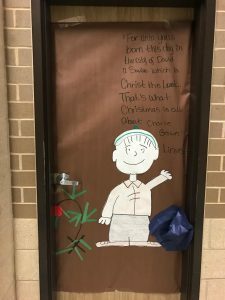 Even after intervention of the Texas State Attorney General, who said that it was likely a violation of Texas’ “Merry Christmas Law,” the school refuses to back off their stance. No one was forced to convert. No one was denied access to the teacher’s classroom. The Principal and the school ruined Christmas for everyone else. Michael Lugo, the owner of Michael’s Tasting Room in St. Augustine decided to post the note online. More than 800 comments later, most have been supportive. 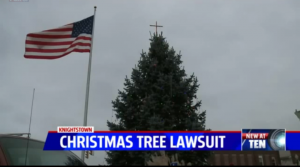 The fact is there really is a war on Christmas. 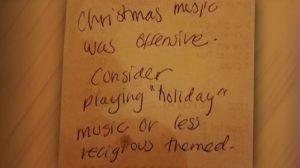 People are offended at the celebration of a Christian holiday. Christ+Mas = the Birthday of Christ. He is the reason for the season. They should be taking up their complaint with Him instead of ruining Christmas for everyone else.